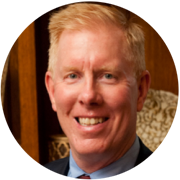 Ted Higgins is a Leadership Coach, Consultant and Facilitator for MCG Partners. Ted has over 30 years of experience in leadership, management, team effectiveness, sales and sales management, and service excellence. He is a consultant, trainer, facilitator and speaker on these topics. His passion lies in helping leaders develop the skills they need to enhance and impact those they lead. Most recently, Ted was VP, Talent and Leadership for Fidelity Investments. In that role, he was responsible for the overall strategy, design and delivery of Fidelity’s top talent leadership development programs and experiences across the firm. He also implemented an integrated talent management strategy supporting key initiatives including the development of a talent management architecture and brand, integration of Fidelity’s leadership practices, and ongoing talent metrics. His other work at Fidelity included forming and leading the Sales/Service Learning Center of Excellence with responsibility for relationship management, curriculum design, content development, delivery, measurement, and communication strategy for all relationship management/sales roles. Additionally, he was responsible for the overall recruitment, leadership and development of a team of internal expert facilitators dedicated to the delivery of management and leadership programs for all leaders at Fidelity. Prior to joining Fidelity, Ted spent almost twenty years at The Forum Corporation. As a leader of large client engagements, he worked to define project strategy and results, and managed Forum teams to design and deliver to those results. He applied his consulting, design and facilitation expertise in client work that encompassed a wide range of topics including sales, customer service, and management and leadership. Industry experience includes financial services, technology, manufacturing, industrial and consumer products, health care, electronics, energy, and utilities. Ted holds a BA in Psychology and Mathematics from Bowdoin College, and an MBA from Northeastern University.